– H. W. Tilman, on reaching the summit of Nanda Devi. In 1934, after fifty years of trying, mountaineers finally gained access to the Nanda Devi Sanctuary in the Garhwal Himalaya. Two years later an expedition led by H.W. Tilman reached the summit of Nanda Devi. At over 25,000 feet, it was the highest mountain to be climbed until 1950. The Ascent of Nanda Devi, Tilman’s account of the climb, has been widely hailed as a classic. Keenly observed, well informed and at times hilariously funny, it is as close to a ‘conventional’ mountaineering account as Tilman could manage. Beginning with the history of the mountain (‘there was none’) and the expedition’s arrival in India, Tilman recounts the build-up and approach to the climb. Writing in his characteristic dry style, he tells how Sherpas are hired, provisions are gathered (including ‘a mouth-blistering sauce containing 100 per cent chillies’) and the climbers head into the hills, towards Nanda Devi. Superbly parodied in The Ascent of Rum Doodle by W.E. Bowman, The Ascent of Nanda Devi was among the earliest accounts of a climbing expedition to be published. Much imitated but rarely matched, it remains one of the best. 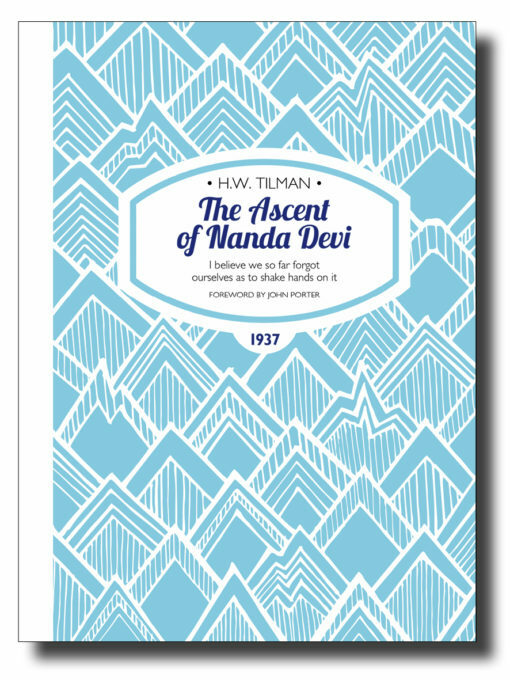 I first read The Ascent of Nanda Devi as a teenager in high school. It was one of those books that fired my urge to climb, and to find a way to create my own adventures, such was the power of the storytelling and the enormity of the feat achieved by that small Anglo-American party in 1936. It was so much more than just a story of getting to the summit of a big unclimbed peak. The first ascent of Nanda remains one of the greatest mountaineering achievements of all time. John Porter started climbing at the age of twelve, serving his apprenticeship in the White Mountains, Rockies, Cascades and Yosemite. He moved to the UK in the early 1970s to study at Leeds University where he joined a team of climbers dedicated to clean ethics, alpine style and the fostering of international partnerships. He has made many notable climbs around the world, including the south face of Changabang in 1978 with Alex MacIntyre and Polish friends. He is the author of One Day As A Tiger, the biography of Alex MacIntyre and winner of the Grand Prize at the Banff Mountain Book Festival. ISBN 978-1-909461-18-5; 216 x 156mm, 212 pages, photos, maps. Softcover with sewn binding, cover flaps and matt lamination.